5 layers of golden chocolate decadence! 5 layers of chocolate decadence. This dessert begins with a layer of our house made chocolate ganache topped with a layer of our original chocolate silk. 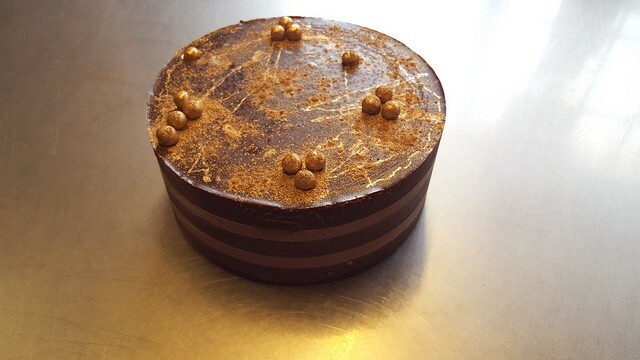 The two layers are once again repeated with the finall layer of house made ganache and gold dust. This dessert must be ordered at least 2 business days in advance.